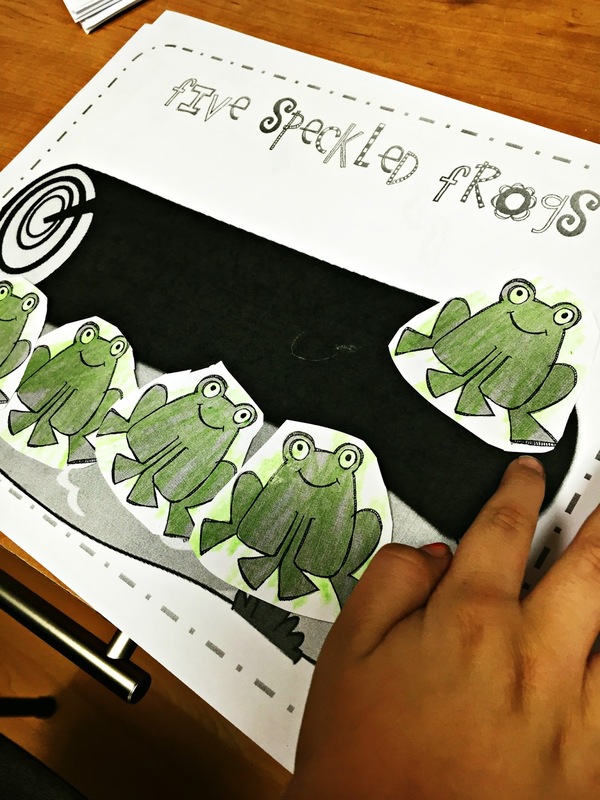 This week Louie is working on subtraction and to introduce the concept her teacher sent home a little activity with a link to a YouTube video with the 5 Little Speckled Frog song. Sorry. I know that will be stuck in your head all day. Now this little ditty will always have a special place in my heart. When I was a kindergartner it apparently was my favorite song. 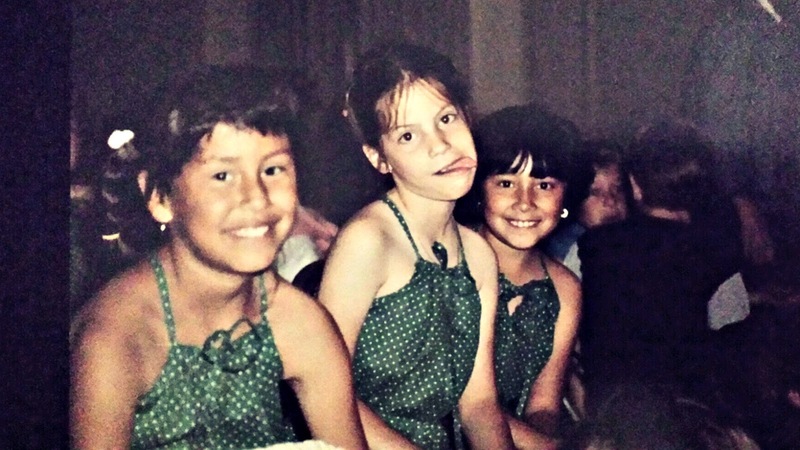 So much so that myself, my cousin Patty, my cousin Monica and my friend Sylvia performed it for the talent show. Thanks for finding these pics Momma! But my love for the speckled frogs did not die after kinder. 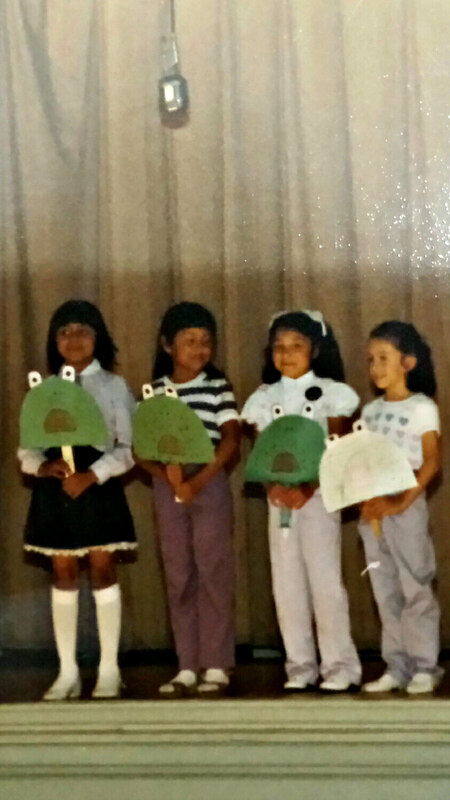 In 4th grade, 1986, we brought the speckled frogs back to the school talent show and they were better than ever. This time my best friend Jessica joined us and her very talented mother (she is still my liquid eyeliner applier role model!) made us all very cool speckled frog jumpers. Seriously we look exactly the same like 30 years later. I believe this skit involved a jump rope. I am not sure who won the year's talent show but for the sake of this post let's say we did. (Pretty sure we didn't). I shared these pictures with Patty and Jessica yesterday and Jess reminded me about the time we leap frogged the entire length of the school field. We are not sure where this obsession with frogs came from. Well I am happy to know that generations later this song is still being sung in classrooms. It sure did bring me a whole lot of hoppiness as a kid. haha, this is great! Love the outfits.